After almost 20 years in the role, Bruno Paillard is to quit his post as president of the Commission for the Protection of Champagne over Champagne Palmer’s distribution deal with US wine company Constellation Brands. In a lengthy and at times ferociously worded interview with local newspaper l’Union, Paillard (pictured) explains his resignation as being a matter of principal and condemned Palmer’s “betrayal” and accused the longstanding co-operative of stabbing the region “in the back”. 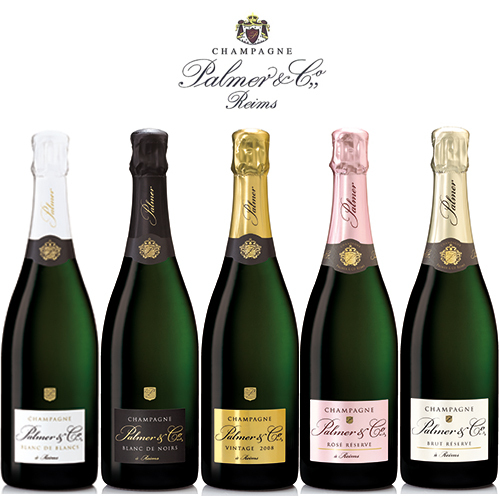 In May of this year, Champagne Palmer signed a distribution deal in the US with TRU Estates and Vineyards, the fine wine division of Constellation Brands – which also counts Schrader Cellars and Robert Mondavi Winery in its portfolio. The deal came into effect this month (July) and included US market import exclusivity for TRU. However, Constellation also produces sparkling wine in the US, namely in California, which it markets there as ‘champagne’. Having fought long and hard to have the name ‘Champagne’ recognised as only representing sparkling wines produced in the northern French region, it is an on-going sore point that a market as large as the US continues to refuse to recognise the protected designation of origin and to produce and market its own sparkling wine under the ‘champagne’ name. Paillard even went so far as to label these companies “counterfeiters”. He went on that it had been an unwritten but understood “pact” among Champagne producers not to deal with any US company that continued to make Californian ‘champagne’. As such, for Paillard, who has been president of the Commission Appellation et Communication Champagne (CACC) for the last 17 years, it would seem it is too much that a Champagne house should break ranks and sign a distribution deal with one of these companies. On 19 June, the CACC told Palmer it must reject its deal with TRU if Constellation refused to stop bottling wine under the ‘champagne’ name. Palmer’s management reportedly refused to do so but offered instead to open a dialogue with Constellation. Not enough for Paillard however who has not only quit his long-held presidency but also cancelled his contract with the co-operative over its decision. He explained that after many years of negotiation and much money spent (around €1.5-2m) some progress appeared to have been made which may have led to the gradual and voluntary dropping of the name by at least one of these companies. He said: “Why is this deal embarrassing? Because it takes away from Champagne vital tools with which to put pressure on these American counterfeiters by saying: ‘As long as you continue to produce fakes, you’ll never have real Champagne’. He included a fiery parting shot at Palmer as well saying that if its management did not see the error of its ways: “It would not be a loss for Champagne to see this co-operative disappear, carried away in its mad arrogance. It is not indispensible and they would do well to realise that. Responding to the blistering attack, Palmer’s president, Henri Quénardel, said in a statement that it was a shame that Paillard in his role as president had not taken a more “moderate” line. He continued that the co-operative had been put under “immense pressure” to renounce the contract with TRU and while the company was “conscious” of the problem he would not stand for being portrayed as “imbeciles” and concluded that Palmer would continue to do “all it could with the Comité Champagne for the appellation”. Meanwhile, Maxime Toubart, co-president of the Comité Champagne and president of the growers’ union, told the paper that while he understood Paillard’s gesture and did not consider it one taken lightly he was nonetheless “surprised” and, “I think it is a mistake”. He said Palmer’s decision had been a mistake but there was work to be done to ensure the best possible outcome all round. Both Palmer and Paillard have been contacted for comment. *As pointed out by a comment below, Paillard is apparently mistaken in this assertion as to how the wines are produced which is either methode traditionelle or charmat not carbonation. The shame is on Palmer side. Could you imagine Rolex giving their distribution in China to the main counterfeit of Rolex. This is the same here. The credibility of champagne is at stake. Well done Bruno for sticking to your principles. Sorry guys, but it is not as simple as that. 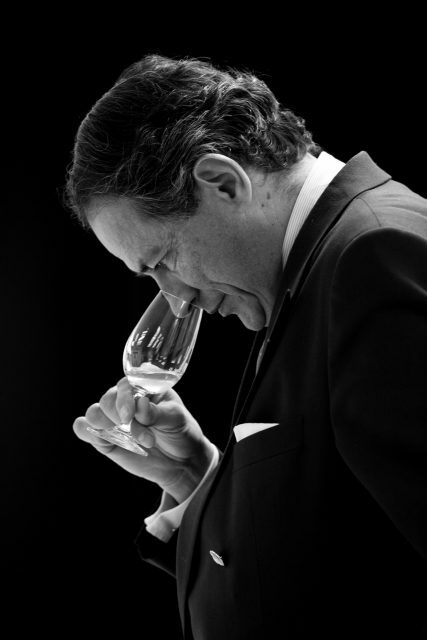 I have known Bruno Paillard as a colleague and friend for nearly 40 years. He has an honour and sense of principle that I broadly agree with, but there have been times when I disagree with how that manifests in individual situations, especially when they involve complex issues. I can disagree with Bruno and remain fiends, and I disagree with Bruno here. Firstly, it is not as simple as singling out three major producers of “American Champagne” and bitching when any Champagne house has dealings with them. Between 1998 and 2007 Constellation owned Matthew Clark, but neither Bruno individually nor the CACC collectively demanded that Taittinger should revoke its distribution deal with Matthew Clark because it was owned by a US company that continues to make “California Champagne”. I do not want to see the provenance of Champagne abused, but we should not forget that it was the champenois themselves who prostituted its own appellation in South America for 30 years. They claimed that they were forced to do so by local laws in Argentina and Brazil, but even when “The Law That Never Was” was exposed in 1993, it took more than a decade before they stopped the practice. However, even if such a law had existed, no Champagne producer was forced to start production of sparkling wine in South America. Where is the honour and sense of principle in that? I am still a friend of Bruno Paillard and a huge supporter of Champagne and the champenois, 99% of whom had not the slightest notion that the South American Champagne Saga even existed. Well done Bruno,its nice to see some one who has worked so hard, backing his principles, wish there were more like you out there. 1) Korbel *only* produces sparkling wines made using the méthod traditionelle [champenoise], period. None are “injected with CO2.”. — (b) Class 2; sparkling grape wine. (1) Sparkling grape wine (including “sparkling wine,” “sparkling red wine” and “sparkling white wine”) is grape wine made effervescent with carbon dioxide resulting solely from the fermentation of the wine within a closed container, tank or bottle. — (c) Class 3; carbonated grape wine. “Carbonated grape wine” (including “carbonated wine,” “carbonated red wine,” and “carbonated white wine”) is grape wine made effervescent with carbon dioxide other than that resulting solely from the secondary fermentation of the wine within a closed container, tank or bottle. The answer Jason is that you are right, Bruno is wrong, but I do not think that it is really part of his argument, right or wrong. He is just venting his spleen. You could almost take it as a French expression of exasperation: pouf! I have recently returned from Seattle and at a bar in the Olympic National Park when I asked for 2 glasses of champagne to celebrate our wedding anniversary my wife and I were given two 175cl bottles of Korbel sparkling wine labelled as champagne ! Quite clearly an abuse of the appellation controllee system similar to the French rose that actually comes from Spain ! Richard, your experience illustrates why it is so difficult to get US producers to give up the use of “Champagne.” I’ve had several similar experiences, including one several years ago that I’ll always remember. MY parents were living in Las Vegas, and when my wife and I visited they wanted to take us to a hotel’s “Champagne” brunch that they often went to. I was curious, so we went. Typical of LV, it was an all you can eat buffet and all the “Champagne” you could drink. When I saw the price of the brunch, I realized that it had to be so-called “Champagne,” and that was confirmed once I tasted it. When my father asked my how I liked the Champagne, I said it was fine, but it wasn’t actually Champagne. He said that of course it was, and asked the waitress to show me the bottle. It was clearly a cheap California sparkling wine (undoubtedly Charmat process), which said “Champagne” in large letters. My father said “there, see, it’s Champagne”. I decided this wasn’t an argument I could win.